Country Hills - This home will not last long, it checks all of the boxes! MLS#6476887. DREAM REAL ESTATE. Skylake Ranch - Other features include energy saving solar panels which are owned/not leased, sprinklers and a separate 220V electrical panel in the garage which is insulated and finished, fresh exterior paint in 2017. MLS#3630542. Tri-County Associates. Don’t miss the chance to make this well taken care of house your home! MLS#9530120. RE/MAX Real Estate Group Inc.
Lake Village - Sitting In A Private Cul-De-Sac And NO HOA! A Must See Home. MLS#1827857. MB MOUNTAIN VIEW PR. The Villages At Riverdale - Super location at end of street. MLS#4343490. LIV Sotheby's International Realty. Woodglen Meadows - New Evaporative Cooler will keep You Cool All Summer! Must See this Exceptional Home! MLS#3165946. COLORADO PREFERRED REAL ESTATE. Wyndemere - Perfect location on a quiet street near THE NEW LIGHT RAIL shopping, restaurants & easy access to I-25 & I-76. *MUST SEE* MLS#8278862. SELLSTATE ACE REALTY. Hillcrest - Close to Pecos Park, Stem Launch School and downtown! MLS#4178597. RE/MAX Professionals. Remington - A First American Buyer’s Warranty (Basic + AC) is included. MLS#9821276. Distinct Real Estate LLC. This home is a MUST SEE! Schedule your tour today. MLS#1812816. RE/MAX Professionals. 2 hours notice required for all showing! MLS#1563821. TRONCOSO REALTY. King Ranch - of storage space in your new dream home! 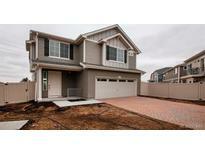 MLS#8323956. PERRY & CO.
Low tax and low HOA compared to new builds! MLS#9987639. Modern Real Estate Co. Finished basement has 4th & 5th bedroom with 3/4 bath, rec room & wet bar. Low HOA with community pool! MLS#2258086. RE/MAX of Boulder. Riverdale Park - The basement is a sprawling entertainment space with 7.1 surround speakers included, wet bar with led multi color changing light with remote, cathedral ceiling with ambiance lighting, 2 huge bedrooms with walk in closets and 1 beautiful bathroom with rain shower head.Truly a must see property to appreciate with all it offers! MLS#3028007. Your Castle Realty LLC. Very close to park, playground, walking trails and convenient location. Don't miss out! MLS#3151386. Brokers Guild Classic.